* Students’ projects, resource files and software will be available for download from our website a week after the completion of the course. 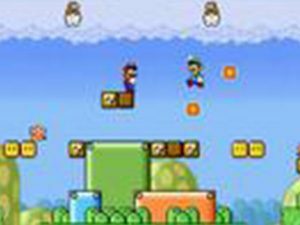 Learn the foundation of platform games like the Super Mario or Maple Story. You will be guiding the player to jump between suspended platforms, over obstacles or both to advance the game; and to collect bonuses to scroe point. This course will teach how to implement a side scrolling game with gravity, drawbridges, platforms, bosses, levels, effects. You will learn how to further your game design skills, as well as reinforcing your knowledge of programming logic.